Engelbert Humperdinck in Montreal or Quebec City? Inform me about the next events for Engelbert Humperdinck. Enroll yourself to our priority waiting list for Engelbert Humperdinck to be alerted when new tickets are available. Filling this form doesn't engage you to any purchase. Engelbert Humperdinck will amaze his audience at Théâtre Maisonneuve of La Place des Arts, in Montréal, during 3 performances on April 10, 11 and 12, 2019. 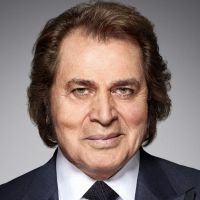 With a career spanning over nearly 50 years, Engelbert Humperdinck has sold more than 140 million albums, with 64 gold records and 35 platinum records! Add 4 Grammy nominations, and a Golden Globe Award, and Engelbert Humperdinck sure has a strong case as one of the most succesful singers in the world! The legendary crooner will be performing his most beautiful songs in Montreal for the first time in a while!